Want to explore the outdoors? Start inside—here at the Free Library! Now through September 15, the Free Library of Philadelphia, with an exciting new exhibition and programs, is your pathway to adventure and a keener understanding of the world around you. Naturally, I’m super-excited about all of this nature-y Free Library fun! When I was younger, I had dreams of becoming an acclaimed naturalist like Sir David Attenborough, or even a famous wildlife celebrity like the late Steve Irwin. So I’ll be spotted in a lot of library locations—I hope you’ll join me! 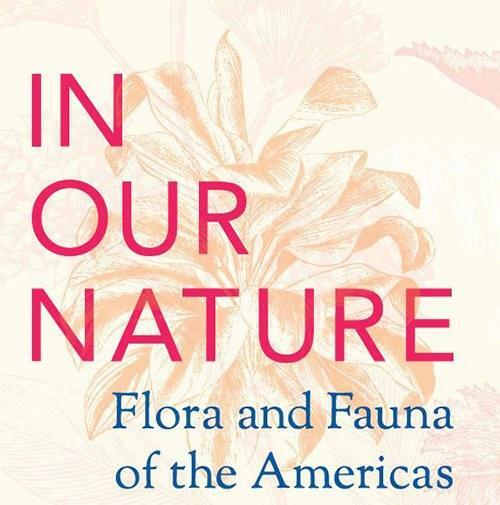 First, visit Parkway Central Library’s Rare Book Department on the third floor to view their exquisitely-curated exhibition, In Our Nature: Flora and Fauna of the Americas. Through beautiful and interesting prints, paintings, and other images, you’ll see how humans have impacted the natural world for centuries. 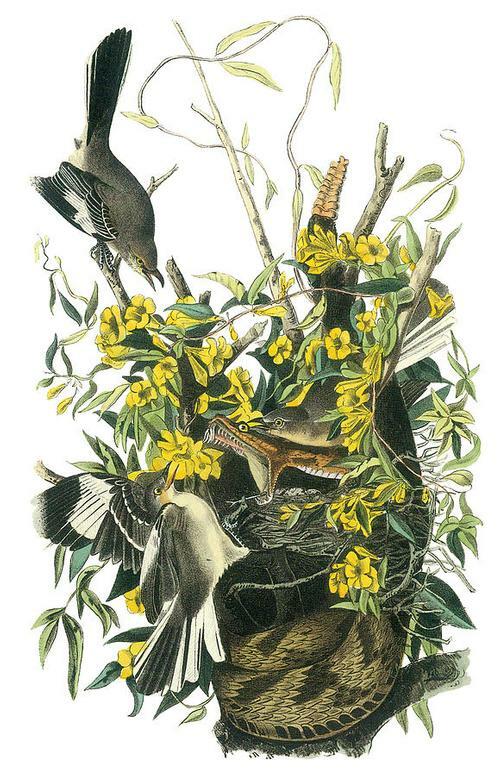 There are John James Audubon’s famous life-sized plates of birds; as well as gorgeous, colorful botanical prints, and artistic renderings of mammals, from whales to big cats, in historical texts. But there are darker references, too. I was horrified by a depiction of men clubbing sea lions to death, in Theodor de Bry’s Les Grand Voyages; America. This original tome dates from 1617—more than 400 years ago—so it’s a both a historic treasure and a prophecy of what came after, with many of North America’s species being vulnerable. In Our Nature has been the inspiration for a great reading list of books that are perfect for outdoor excursions. It’s also sparked dozens of programs for children and adults. In neighborhood libraries around the city, little ones can take part in arts and crafts that help them learn how plants grow, and how important they are to the ecosystem. At the aptly named Oak Lane Library, adults can learn about plant stewardship, too. They’ll both talk books and find out how to care for neighborhood trees from the folks at Tree Philly, as part of Tree Stories: An Expanded Book Discussion event on Monday, September 10. We can also consider how our family tree informs our connection with the natural world. During The Outdoor World Within Black Literature event on Monday, August 6, we’ll picnic at Bartram’s Garden, a historic farm in Southwest Philadelphia, to discuss works by black writers who’ve illuminated the natural world. This is an especially resonant program for me. Like many African Americans, I’ve spent most of my life in cities or suburbs, away from my rich, rural heritage that was grounded in a relationship with the earth. If you want to explore more, you can find out the latest details in an ongoing research project devoted to the work of Philadelphia’s own famed naturalist during The Publisher is Ambitious: William Bartram’s Travels on Thursday, September 6. If embarking on your own journey is more your speed, hop aboard a special Free Library boat trip and discover the Secrets of the Schuylkill, our city’s landmark river which William Bartram once knew well. If you dream of scribbling in the woods like Bartram, join me and my colleague Autumn McClintock, author of the poetry chapbook After the Creek, for Prose and Poetry at Pennypack Park on Saturday, August 25 .We’ll use this natural setting as an inspiration for fun creative writing prompts. Word! And…bird! That’s what you’ll shout if you attend a library field trip! During Walk the Flyway: Birding and a Tour on Friday, August 3, experience the Upper Roxborough Reservoir and learn about this pit stop for migratory birds from the Friends of the Wissahickon and the city’s Parks and Rec Department. Or, meetup at Joseph E. Coleman Northwest Regional Library On Wednesday, September 5 to brush up on some birding basics with the co-host of the Urban Wildlife podcast, during a Birding and Binoculars event. And don’t forget to check out a birding backpack! It just might be too late for me to become a famous wildlife adventurer, but when it comes to rediscovering the natural world in a new way, there’s more to explore—outdoors—with the Free Library. I’ll see you on the trail! The Free Library of Philadelphia is your pathway to adventure and a keener understanding of the world around you! 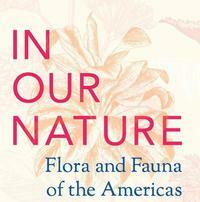 The In Our Nature: Flora and Fauna of the Americas exhibition runs now through September 15. This is such an exciting menu of nature programs. I want to attend them all! Thank you Free Library. In Our Nature is a wonderful exhibit of prints, scientific illustrations, and children's book art. They all capture the timeless wonder of exploration and discovery! This is a very informative exhibition about America - a natural land without borders, with something for all ages and levels of interest. A beautifully curated exhibit well worth your time to explore! Add a Comment to A Field Guide to Exciting Programs and Special Exhibitions at the Free Library!